All people in the world know about bridge card. The popularity of card game reaches various people from kids to adults. Because of that reason, we try to present it in wooden carving product and make it in giant size. We create wooden marble card from high quality teak and paint it to have a marble look. Perfect for your house decoration and very durable product. It has made from best quality Teak wood. The durability of Indonesian teak has been proven so that this art product is most suitable for decoration. 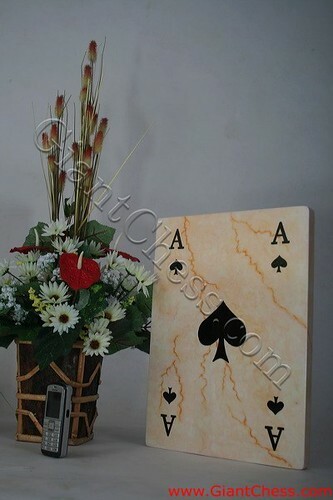 Whether it is indoor or outdoor, your space will be more beautiful with wooden marble card.